The most common questions about ingrown hair. How do you remove an ingrown hair? Apply a warm compress, then an ingrown hair serum. Exfoliate the area every day with a gentle scrub. Can you pop an ingrown hair? You can but you can get an infection from this or it can lead to scaring. How do you treat an ingrown hair cyst? Exfoliate every day or use an ingrown hair serum. How do you get rid of an ingrown hair on your pubic area? The same way as every other part of your body. Do ingrown hairs go away on their own? Some will eventually work themselves out. 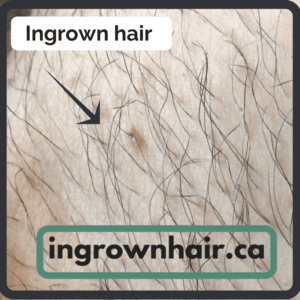 What does an infected ingrown hair look like? It is usually red, swollen and may have some pus. It is usually in the form of a bump. 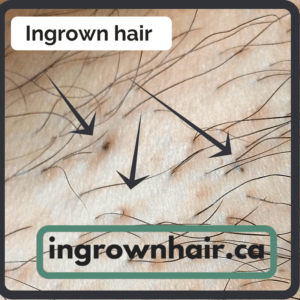 Can ingrown hairs cause boils? Yes. If you don’t take care of them they can become infect or turn into a boil. Can you get a staph infection from ingrown hair? Yes. This is why you must be careful to keep the area clean and treated. How long does folliculitis take to clear? It can take from one to two weeks depending on the treatment as well as the severity of the case. How do you get rid of ingrown hair scars? Exfoliate every day and moisturize with a vitamin e oil every day to reduce ingrown hair scars. 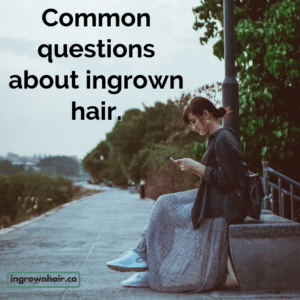 Can you get an ingrown hair on your head? Yes. You can get them anywhere on the body. Do ingrown hairs hurt? They can if they are inflamed. How do I get rid of ingrown hairs on my legs? 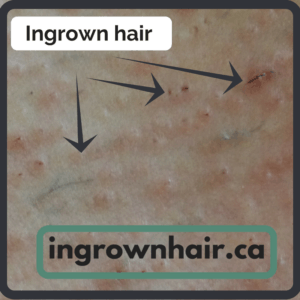 Many ingrown hairs will resolve over time without treatment. It is often best to let them heal on their own and take preventive steps. However, if a person can see the tip of the hair outside the skin, it may be easier to pull the hair out and allow the follicle to heal. Wash the area with mild soap and warm water. If the area is not irritated, gently exfoliate it. Apply a warm, wet washcloth over the ingrown hair. This can help open the follicle and allow it to drain. Hold the washcloth in place for 1 minute, then remove it. Using a sterilized needle or tweezers, gently tease out the rest of the hair. When the entire hair is above the surface of the skin, use the tweezers to grab its base. Pull firmly upward to remove the hair. Wash the area again with warm, soapy water, and apply a warm washcloth if needed to help soothe any irritation. Read more about how to treat and prevent ingrown hair!